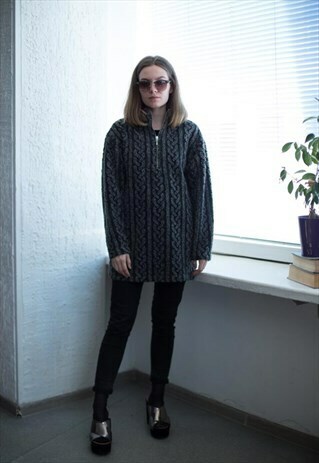 Cozy vintage 90's grey patterned warm high neck jumper with zip on the front. UK size not written but looks like 6-8. Model size on the photo is 6. Measurements: length 29.5 inches, sleeve 23 inches, chest 42 inches, waist 41 inches.